I need your help! I am currently working on a project for graduate school where I have to review Schoolmaster. However, I am unfamiliar with this software and finding very little information online. If you are a Schoolmaster user, do you mind sharing some information with me? Thank you in advance! 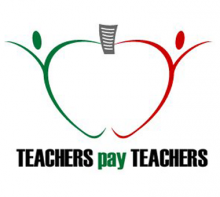 What an honor to receive an email that says, "I wanted to let you know that we added Teaching...My Calling to our Top 50 School Technology Blogs at http://www.teachercertificationdegrees.com/top-blogs/school-technology/ since we think your blog is a great resource for teachers." When you view the other 49 blogs on the list, I feel inadequate! It is a great group! My wish is that my blog would continue to provide quality technology tips to use in your classroom. Next semester of graduate school is not going to be quite so hectic, so I will have more time to blog! Thank you for your patience and this award! VocabularySpellingCity is holding a super easy contest on Pinterest! All you have to do is become a VocabularySpellingCity follower on Pinterest, and you are entered to win a Premium Membership to the VocabularySpellingCity. Don't worry, if you are already a follower, you are entered. The winner will be randomly selected using http://www.random.org. The contest will close on Saturday, December 1, 2012, with the winner to be announced on Sunday, December 2, 2012, on this blog. Share the Pinterest link with your friends. Many of you know that not only am I a classroom teacher, but I also work with VocabularySpellingCity in the area of social media promotions. Part of my duties with the company is to maintain their Pinterest site. 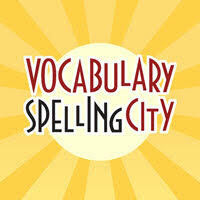 I love to add pins that feature VocabularySpellingCity and how teachers are using the site in their classroom. However, I also want to share teaching ideas, motivators, and blogs that are helpful to you. If you have any suggestions on how to make the VocabularySpellingCity Pinterest better, please let me know. Thank you for your support!